Ubisoft: "There will always be an appetite for more beautiful games"
Ubisoft, unlike other major publishers, has a tendency to jump on new platforms right at launch. The French publisher was one of the first out of the gate for Wii and they've been the biggest third-party to support Wii U. Putting your weight behind a new system that's just starting to build an installed base has its risks since there aren't as many consumers to potentially purchase a title that millions upon millions of dollars have been devoted to, but it's a strategy that Ubisoft believes in nonetheless. In a recent sit-down interview with Xavier Poix, head of Ubisoft France Studios, GamesIndustry International discussed this fire-first approach, preparing for next-gen and the struggles of the Wii U.
Poix oversees three studios and multiple key franchises for Ubisoft, including Just Dance, Rayman and Ghost Recon. To Ubisoft, these games are more than just games - they are hugely important brands, and Poix said that one of the key reasons his company looks to new consoles is that the new platforms enable Ubisoft to cultivate its brands and foster creativity. "It's a long-term strategy for us. The first way it helps is you're starting very soon on the new system. When the others are just starting you'll be on your second or third iteration; that means productivity-wise when there is a new engine, etc. etc, you'll go faster. It's also a question of market share. Our goal on the Wii U-and we did that on the Wii as well-it's a great opportunity to create new brands because at this time people are expecting new stuff," he said. "Selling a new way of playing can take some time, and we know the power of the brands from Nintendo and we know from the fans that the majority of what will be the system sellers are not yet available"
"If you arrive with good innovations supported by the console then you're potentially creating something really new to appeal to players and then you can build a brand upon it, like we did with Rabbids and a bit earlier with Just Dance, and like we did with Ghost Recon Advanced Warfighter. On the other hand, you're speaking of big investments, everything depends on the console itself. On the Wii U for instance, the level of the Wii U hardware is a little bit higher than Xbox 360 or PS3, but it was more about using the new GamePad and finding new designs for games, asymmetrical etc." Indeed, with the Wii U Ubisoft knew it was in for a challenge, just as Nintendo itself was. Communicating the value of the GamePad is not as easy as letting the mass market know about motion control and swinging a virtual tennis racket, for instance. "One thing for sure we knew is that this new controller would be something harder to convey than the Wii, which was about the movements in your game, so we knew we needed to educate people around this GamePad idea. We strongly believe that people have not yet realized the importance of the gameplay that this can provide, but for sure they need the good games to support the system. And they need the installed base to gain more support, which is not the case yet," he noted. "For our games we really wanted to show the innovation. 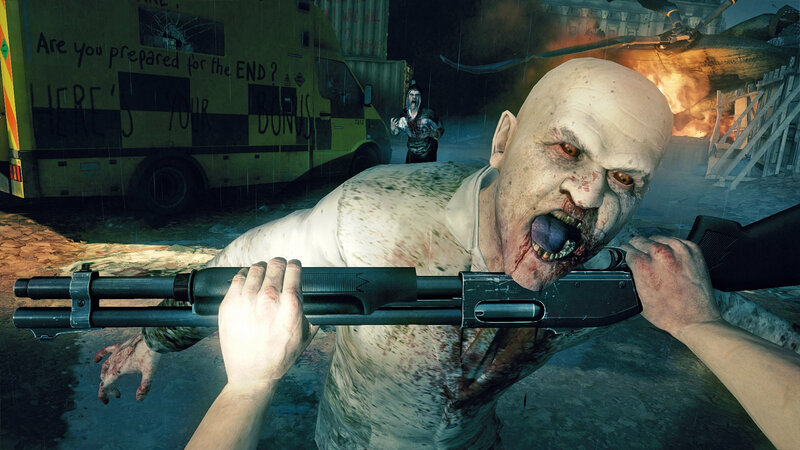 In ZombiU for instance, the players are really fond of the multiplayer mode because it's totally new; it's like one FPS player against an RTS player. On the second screen approach... We pushed the limits of that so it can be a real gameplay challenge to look at two screens." While sales of Wii U games could be better, Poix insists that Ubisoft is pleased, relative to the number of consoles out there, that is. Nintendo simply needs more system-selling titles, and Poix believes Rayman will be one of those. "We don't have any disappointments compared to the installed base. We are just hoping that Nintendo's results for Wii U will be a bit bigger, like Iwata-san said," he commented. "Selling a new way of playing can take some time, and we know the power of the brands from Nintendo and we know from the fans that the majority of what will be the system sellers are not yet available. And on our side, Rayman will be one of them for sure. We really expect Rayman to be a huge system seller on the console." While the Wii U marketplace has already taken shape, for better or worse, Sony's PlayStation 4 is shipping this holiday and soon we'll be hearing about a next-gen Xbox. The prospect of more new consoles, especially those with more horsepower, has Poix visibly excited. "We love to build games on new consoles, so we are preparing ourselves for any potential new systems that are coming. It's really a matter of finding a good brand and does it make sense to put it on this system or this system? Either it's an existing brand or it's not, then we have to figure out what kind of brand needs to be created on the system as an opportunity," he said. "If you compare what we had at the launch of Xbox 360 and what we have today it feels like a new generation"
Based on what we all saw at Sony's PS4 unveiling, it's clear that the visual jump from current-gen to next-gen isn't of the same magnitude as previous console transitions, but that doesn't mean we're necessarily seeing diminishing returns when it comes to graphics. As far as Poix is concerned, a number of game developers will seek out the highest fidelity visuals possible, and there will be plenty of gamers with an appetite for those experiences. In fact, Poix is eagerly anticipating the arrival of 4K televisions and is hoping developers will be able to leverage that technology for more immersive games. "There is always an appetite for more beautiful, better animated games," he said. But graphics only tell one small part of the next-gen story. "It's not just about graphics, it's about what you can do with this new power. For sure we have some more room. 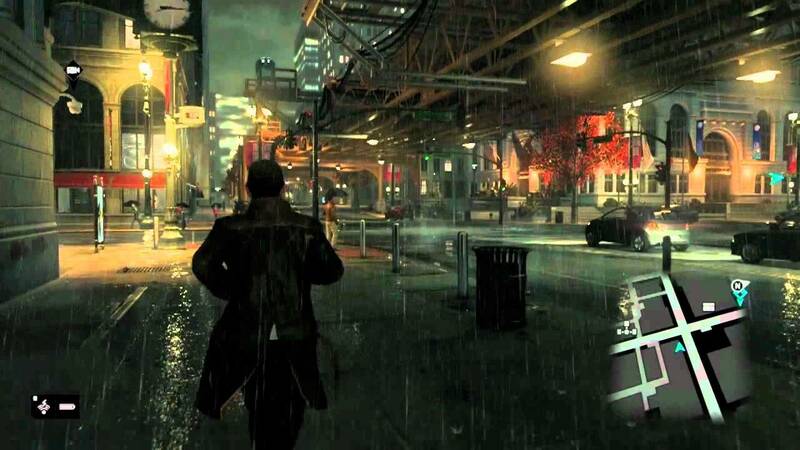 Even with Watch Dogs, at the end of a cycle we are showing something that's really breathtaking. So there is an evolution even during the cycle, because we know how to handle the console. We learn and our programmers do an excellent job optimizing lots of stuff; if you compare what we had at the launch of Xbox 360 and what we have today it feels like a new generation." "So we feel the difference will be huge at some point, and it will touch the limits of the TV itself in terms of lines of resolution. So we might need new TVs like the new 4K. We're very excited for 4K or anything that brings a new experience and new emotions to players... But it's more than the visuals, the power of the machine itself and the memory will allow developers to bring more and more into the game. We'll see more animations, more sounds, bigger maps, many more AI powered characters. So, no, we're not finished yet," he added. "I didn't get the Guitar Hero stuff... It was just a fad. We have based our game on the most multicultural and widely accepted activity, which is dancing; I don't see dancing disappearing"
Poix believes that the upcoming consoles will fit perfectly with Ubisoft's desire to continue to build up its brands. "Of course we are taking risks, but we have a strategy of building brands. And once a brand is there, and it has engaged the fans, it's earned its place on the market and usually with limited competition. And we want the brand to remain at a certain level and remain very creative, bringing new features all the time to players. In this case it's no more a risk - it's an investment in the future," he said. Sometimes the strategy isn't about building up new IP, but reinvigorating old ones. The newest Far Cry stands as a good example. Far Cry 3 was a brilliant game, and there's no denying that Ubisoft has breathed new life into that franchise now. "Far Cry really showed what's possible - it's a brand that's had ongoing success with a lot of fans but Far Cry 2 was a little disappointing for internal sales. The team has really done a huge, huge job in pushing the limits of the quality, so now we have a game that's very fresh on the market. So this is a reinvigorated brand for Ubisoft. There is risk in revamping a brand, but once it pays it pays for the long-term," Poix said. One brand that Poix is particularly proud of is Just Dance, which has managed to sell over 40 million units globally so far. And no, Ubisoft isn't out of ideas for the dancing game, Poix said. He fully believes it can last a long, long time, unlike the guitar games of years past. "I am very confident about Just Dance, and I think it will grow in the future. I think the new systems will help us find new ideas to connect people together more in the dance genre, and also to propose many more challenges. We'll have more to disclose one day, but to compare it to games that fade away, I don't want to be rude but it's not based on an accessory. Those games were based on accessories, they were based on toys," he said, alluding to Activision's once popular Guitar Hero franchise. "I didn't get the Guitar Hero stuff, but I'm a guitarist. It was just a fad. We have based our game on the most multicultural and widely accepted activity, which is dancing; I don't see dancing disappearing. The only issue will be if we don't bring new features to players, new ways of enjoying dancing with friends, to connect with them. I see a very bright future for Just Dance. Also, the music industry won't stop creating new hits every year and we'll be there with those on our games." Note for the Author: Xavier is the head of Ubisoft France STUDIOS. As long as that appetite doesn't outweigh the full meal requirement of having solid controls, fun gameplay and a good story(in addition to pretty graphics) then I will gladly partake in the feast.